Perfect for Valentine’s Day, Mothers Day - anyone special. 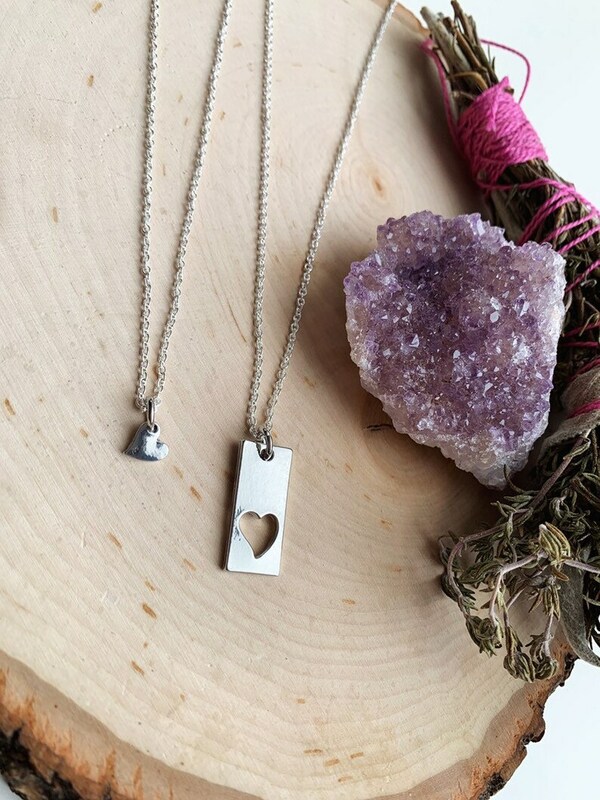 Purchase includes a set of two necklaces- one tiny heart and one cut out pendant. Both are silver plated and hang on sterling silver plated delicate chains. Please choose length at checkout. Comes gift boxed ready for the perfect occasion.